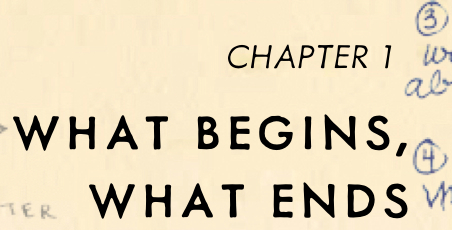 Thoughts on Chapter 1: What Begins, What Ends | Thoughts On "S"
After reading your post “Thoughts on chapter 1: What begins, what ends” I went back your previous post “Birds of Negative Space in GEB. I understand how you got to S. being enlightened by the inference from the Zen koan in GEB. Escher’s drawing “Day and Night” tells use to brake from logic, the formal system and become enlightened. There is a dilemma with the information in GEB and chapter 9 in S. Joshu ask the teacher “What is the true way?” in GEB and S. finds the true way in chapter 9 but in GEB there is a strong inference that we should be paying attention to the dichotomy presented by the number 5 and 6 and the formal system of mathematics. Tempo di Menuetto from keyboard Partita no.5 by Bach. Music’s rhythmic ambiguity 2 groups of 3. In chapter Interlude FN5 mentions 5 different music modes all used by Bach. The koan tells use to abandon the formal system 5 which can be a prime number or a Fermat prime or a Fibonacci number or many other things but all in a formal system of logic. Music is a formal system. Perhaps chapter “9” in S. is telling us to look at 2 things. One is S. becomes enlightened and the other, we need to pay attention to the numbers in order to figure out the cipher in the chapter. A fugue has purpose. It has beginning and end. It has life and death. It has reason, therefore a proof. There still seems to be some missing pieces to this proof like Fermat’s Theorem. Note that the rant about the tone-deaf organ grinders is attributed to Charles Babbage, a cryptanalyst famous for breaking the Vigenere Cipher. Maybe that part hides enciphered text. Likewise in Chapter 7, Maria Stuart Queen of Scots is mentioned, whose fate was determined when her secret letters implied her involvement in the Babbington Complott. She used a Nomenclator (combination of cipher and codewords). I assume there are references to the history of cryptography in every chapter.